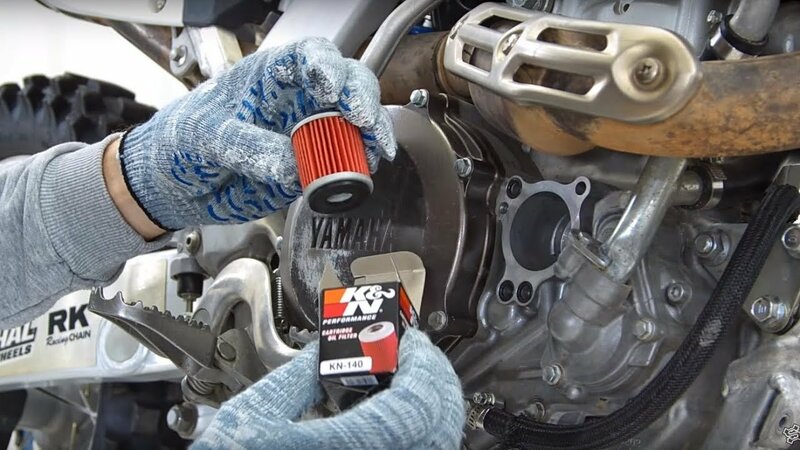 On Yamaha WR450F, the oil and oil filter need to be changed every 1000 km. If the motorcycle is used in sports, then every fifth race or training. In the manual, it is recommended to use oil viscosity from 10W30 to 20W50 which fits the API SG specifications and above. We use sports synthetic oil 10W50 that perfectly suits for intensive use in different conditions. Before using Suprotec, the surfaces of the moving engine parts must be cleaned with a special rinse. Given the service intervals, life service and engine type, it makes sense to pour in the cleansing agent 30-40 km before changing the oil. Before oil changing, you poir in the Suprotec oil additive into the fresh oil. It is very important to stir it well so that there is no sediment on the bottom. Engine protection is carried out in two stages. The second stage is a similar oil change with the addition of an additive after 300 km. After that just the usual motorcycle operating. 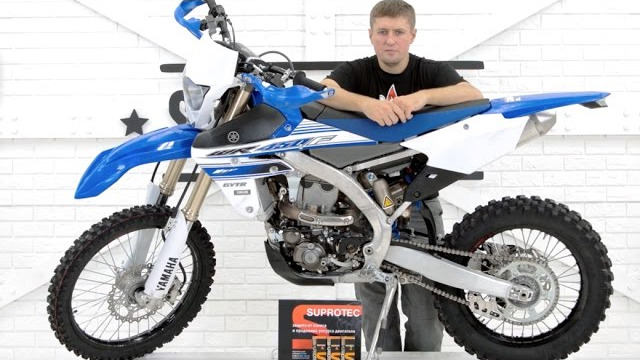 In general, the procedure for the oil changing on the Yamaha WR450 is quite standard. There are 3 points for running off the oil. If you swing and tilt the motorcycle, you can drain almost all the oil. 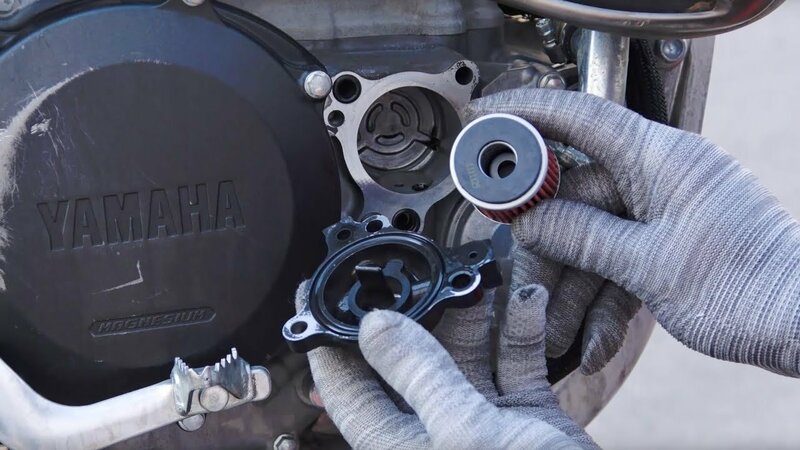 When replacing the filter, it is important not to lose the rubber spacers! Подробное видео с заменой масла смотрите ниже!